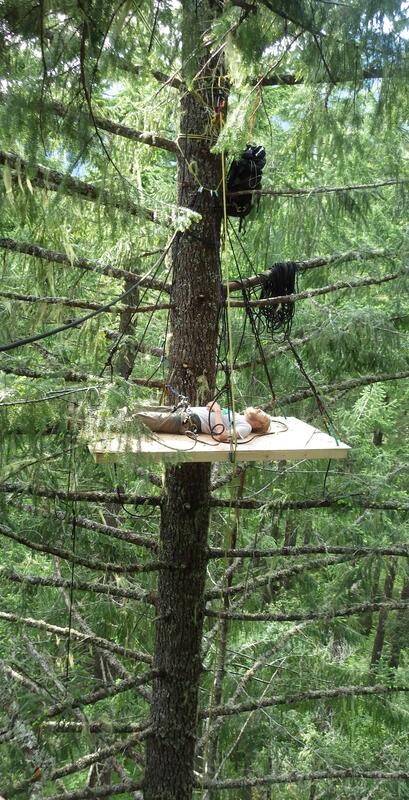 A demonstrator with Cascadia Forest Defender rests on a wooden platform, several stories well above the ground. It’s easy to overlook the sit-in, unless you know to look up. Way up. 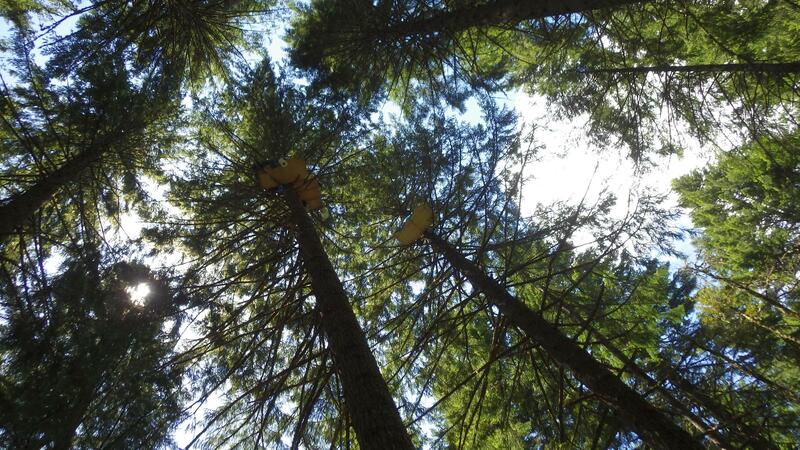 “I’m 110 feet up, in a Douglas Fir tree," says Sunshine Forest, a member of Cascadia Forest Defenders. She uses that alias because using her real name could lead to her arrest. She’s been sitting, sleeping, and eating on a platform for a week now. Looking up towards the platform from the ground. “Ooh, it’s beautiful," Forest tells KLCC via cell phone. The Cascadia Forest Defenders launched the tree sit late last month, to protest planned logging of 1,000 acres in the goose timber sale area. Forest says her group’s concerned over what could follow. The group plans to stage the tree sit as long as it takes to stop further logging and sales in the area. Meanwhile, a Forest Service official says they always support the right of people to peacefully and safely demonstrate.